Drupal is a robust, open source Web content management system that can be customized and extended with modules and well documented API’s. Like most well conceived Web content management systems, Drupal separates content from presentation through the templates (PHP, xHTML and CSS). Drupal core, the standard release of Drupal, includes most common Web content management features. 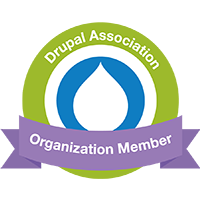 To further extend Drupal's core capabilities or to add new features, there are thousands of contributed modules to choose from in the Drupal community. Thousands of community-contributed modules to choose from! Friendly URLs – Drupal uses Apache’s mod_rewrite to enable URLs that are both user- and search engine-friendly, which can help your search rankings. Permalinks – All content created in Drupal has a permanent link or “permalink” associated with it so users can link to content freely without fear of broken links, another feature that is likely to boost search ranking and page views. Taxonomy and Tagging – Drupal enables you to define hierarchical categories that can be used to tag and organize content, as well as fields for content authors to apply free tags. Tagging content can help enhance your site’s organization, enable related content linking, and assist in the definition of meta-keywords that can boost search rankings. Google Ajax Search Module - The main googleajaxsearch module allows the addition of inline searches over a number of Google services (Web Search, Local Search, Video Search, Blog Search, and News Search). This module includes a macro generator that allows the interactive creation of a googleajaxsearch inline tag. This feature gives the ability to create multiple inline Google searchers. Platform Flexibility – Drupal was designed from the start to be multi-platform. Not only can it can be installed on either Apache or Microsoft IIS, it can also run on Linux, BSD, Solaris, Windows, and Mac OSX platforms.